Motherhood. Marriage. Life. Death. Three generations of incredible women. 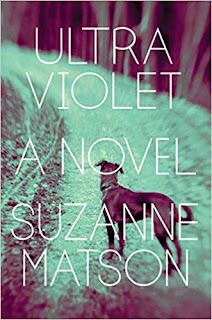 Suzanne Matson, one of my favorite writers on the planet, talks about her latest novel, ULTRAVIOLET. 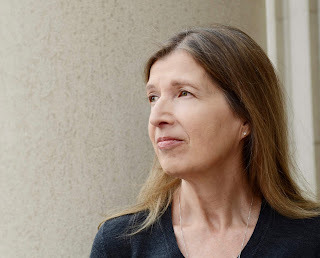 I think I first met Suzanne Matson the way I often meet writers: I wanted to know her so fiercely that I made it happen. I had devoured THE HUNGER MOON and I kept thinking how could anyone write something that exquisite? How could I not know her? So I reached out, and through the years, I've loved all her books--and her-more and more. (She even came to one of my readings in Boston early on--and she brought a friend/novelist Elizabeth Graver! I was so excited I almost passed out. Suzanne's previous novels are The Tree-Sitter, short-listed for the PEN New England/L. L. Winship Award; A Trick of Nature; and The Hunger Moon a Barnes & Noble Discover Great New Writers pick. She was awarded the Robert B. Heilman Dissertation Prize, an Academy of American Poets Prize, and the Susannah McMurphy Fellowship. A 2012 fellow in fiction writing from the National Endowment for the Arts, Matson has also received creative writing fellowships from the Massachusetts Cultural Council and the American-Scandinavian Foundation. And most importantly, she's an extraordinary writer--and a very, very cool person. Family histories from both my father and my mother always struck me as powerful source material for writing, and yet for a long time I wasn’t sure how to use this legacy. I first wrote two novel drafts from the Finnish immigrant, coal-mining side of the family (my dad’s). Then I set those aside to begin a story that imagined my mother’s young life in India as the daughter of Mennonite missionaries. It occurred to me that what I really wanted to write was the story of a marriage, because the fact that my mother and father had ended up together had always seemed like one of life’s great mysteries. I sometimes think that my childhood spent trying to get to the bottom of that strange match is what prompted me to become a writer. It got me into the habit of asking questions about people’s inner lives and what drives them to their actions. My mother was the more verbal and self-examining person of the two, often speculating about her mother’s situation as a missionary wife, as well as the constraints she felt born into, so that’s where the eventual book came from: women’s lives threaded down across decades, and how the woman in the middle generation—Kathryn—negotiated her choices, limits, and consequences. It’s Kathryn we follow from childhood to old age, but my father’s history plays an important role too. This novel is so ambitious, tracing the lives of three generations of women. How difficult was this to write? Did it feel different from your previous novels? And if so, how? I also want to comment that you call it “a shape-shifting” in the acknowledgements, which I loved. How did it find its form? Once I acknowledged that I was writing a novel, rather than linked stories, everything fell into place. But at first, when I was finding my way, the individual stories were a way to go deep into discrete, important moments in several different women’s lives. Then I noticed that I had written the initial stories with anywhere from a few years to a decade in between them, so I consciously adopted that as my method, and it became an episodic novel, encompassing about an 80-year swath of history in small leaps forward. I tried to structure the leaps so that the next point at which we pick up the story has already encompassed action and change, setting the stage for a new turn. I wanted that change across the gaps to be easy for the reader to absorb, while at the same time remaining implicit. While I was writing, the gaps felt charged for me, a kind of propulsive energy, so that the reader, entering the next episode, might feel a kind of “aha!” moment—so that’s what happened in between! The whole process was very different than my previous novels, which all dealt with a limited time frame of roughly a year. Added to that, my relationship to “truth” was completely different in this novel. Though I was inventing the characters’ interiority and a great deal of the action in Ultraviolet, I never forgot that these people were also real to me. Real and complex. The book travels from colonial India to the modern suburbs of America so the sense of time and place is as vibrant as your characters. What was your research like and what unsettled you about it? It’s ironic that the narrative you’d think I would have known best, built as it was out of family history, is the one I researched the most. Years of research, actually. Besides the normal kind of Internet searching for events from a certain year, movies that were playing, popular songs and clothing styles, etc., I went to India to see where my mother boarded at school in the Himalayas; I went to Finland to see the village where my paternal grandparents were born, and to the port of Hanko from which Finns emigrated to America; I went to Red Lodge, Montana, and read in the town archives about the boom times and decline of coal there, as well as the persecution of labor radicals during WWI; and I went to Goshen, Indiana to read my maternal grandfather’s papers in the special collections of Goshen College’s Mennonite archives. I held the handwritten postcard he received from Mahatma Gandhi during the period when independent India’s constitution was being written. My grandfather had sent Gandhi a memo on behalf of the Mennonite Mission Board urging a provision for conscientious objection to military service. Gandhi's reply: “Dear Friend, Your letter. Why worry! I am in the same boat with you. Yours sincerely, Mahatma Gandhi.” There are so many wonderful research moments that don’t make it into a novel. In fact—and I think this holds true for many fiction writers—maybe ten percent of what I found appears directly; the rest just informed me, creating a knowledge base from which to imagine. What is so stunning about this novel is how subtly powerful it is. In Ultraviolet, it is the small moments that are actually the largest. Do you find that’s true in life? I feel like the small moments are what make living worthwhile—observing the nuances of social connection, the realities of the body, the textures of the natural world, and all kinds of cultural specificity. Abstraction has never been my métier. What makes life infinitely interesting to me are the granular moments, and the way they gesture toward larger realities. Well, it’s a hot-mess moment in American and global politics. As a novelist I want to stay receptive to all the ways in which this anxiety-ridden age has changed the very atmosphere we try to live and work and love in. So, all that has to enter the next project, which will be set in contemporary times, and yet, I also feel a need to shield myself from constant immersion in the toxic political climate. Finding that balance is tricky. Obsession as a writer used to feel simpler: Go deep, go inward, draw from what you know about the world while living in your head. That is a nourishing personal strategy, and yet it seems too luxurious for our time. Right now, it feels essential to stay engaged. How did we arrive at the cover? 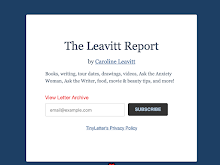 Catapult is terrific for working with the author. The first cover idea was conceptually interesting but somewhat visually abstract. In search of a new take, I mentioned that there were dogs throughout the narrative—not as a central subject, but in a way that felt to me somewhat totemic—dogs as emotional touch points. I mentioned that I could see a cover with a dog running, maybe a blurred dog running, in some unusual effect of light, playing off the title, Ultraviolet. The design team of Strick &Williams came back with this absolutely stunning cover that made me gasp when I opened the file. I love the mystery of it, the fact that the dog is facing away from us and seems ready to move down this almost glowing path into the shadows. But that journey is mysterious, and you feel, emanating from the dog’s alert posture and ready stance, some animal intuition mediating between reality and the metaphysical unknown. The image felt absolutely perfect to me for exploring uncertainty and yet, in some way, fearlessness.